WHO spokesman Tarik Jasarevic said at a press briefing in Geneva the agency has been investigating misbehavior for “years and decades” and would continue to do so. The comments came after an Associated Press story Thursday which reported that WHO’s director-general had ordered an internal probe into claims the agency is rife with racism, sexism and corruption. The AP obtained three anonymous emails addressed to senior WHO managers charging that there were numerous problems at the agency, including “systematic” racism against African staffers and allegations that some money intended to fight Ebola in Congo was misspent. 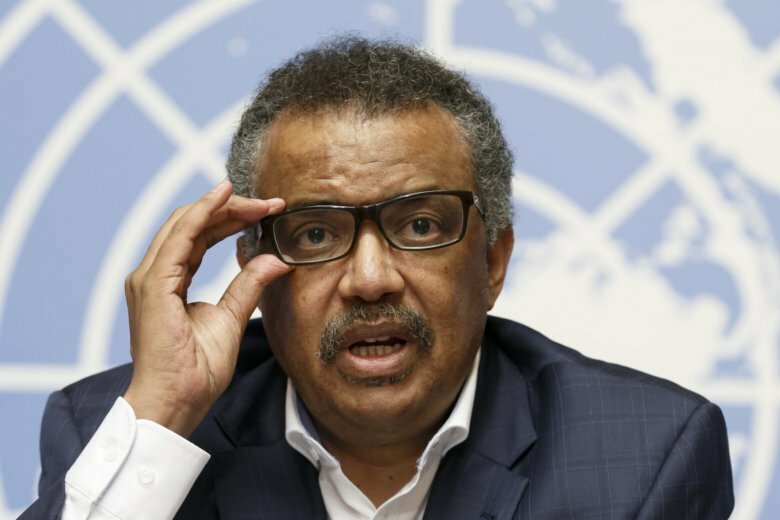 Last month, WHO chief Tedros Adhanom Ghebreyesus instructed the agency’s internal office of oversight to investigate the allegations, announcing his decision at a staff meeting in Geneva. The last email, sent in December, labeled the behavior of a senior doctor helping to lead the response against Ebola as “unacceptable, unprofessional and racist,” citing a November incident where the doctor reportedly “humiliated, disgraced and belittled” a Middle East subordinate. Some staffers feared that funds donated to help stop Ebola in Congo “have not been used judiciously,” the email said, warning such blunders could undermine WHO’s credibility. Tedros — a former health minister of Ethiopia and WHO’s first African director-general — said during the staff meeting that investigators looking into the charges “have all my support” and that he would provide more resources if necessary. WHO spokesman Jasarevic said WHO has “established procedures and people can report on any concern they may have,” and that all such allegations would be assessed by its office of internal oversight. But critics questioned whether WHO could effectively investigate itself, pointing out that it was WHO’s internal oversight office that botched the initial investigation into sexual harassment allegations at UNAIDS, which is technically part of WHO. WHO’s internal investigation dismissed those claims, but an independent report concluded last year there was a culture of impunity and toxic working environment at UNAIDS, which ultimately led its chief Michel Sidibe to announce his resignation last month, effective in June. “Having an internal investigation at WHO is as good as doing nothing,” said Ed Flaherty, a lawyer who represents Martina Brostrom, the UNAIDS whistleblower whose sexual harassment charges prompted the report. Jasarevic said WHO’s internal investigation office reports “to (an) independent expert oversight advisory committee, and that’s not a WHO body.” He said reports on “substantiated allegations” would be publicly submitted to the World Health Assembly. But according to a report from WHO’s internal auditor, the office reports directly to WHO’s director-general. And WHO’s 2015 “Accountability Framework” said the office is responsible both to WHO senior management and to the U.N. agency’s governing bodies. Flaherty disputed Jasarevic’s assertion that WHO staffers have confidence in internal misconduct reporting methods. Maria Cheng reported from London.